People were holding posters with the inscriptions "Russia, get out of the Crimea" and "Crimean Tatars are not terrorists"
In Toronto, people went on single pickets to demonstrate their support to the Crimean Tatars who were detained by the occupying power in the Crimea. The President of the Canadian Association of Crimean Tatars Rustem Irsai shared the information on the matter and a photo of people with posters on his Facebook page. People were holding placards saying "Russia, get out of the Crimea" and "Crimean Tatars are not terrorists". Earlier QHA reported that October 14, in the occupied Crimea, police detained people who held single pickets, protesting against the arbitrariness of Russian security forces against the Crimean Tatars. People came out with single pickets in Simferopol, Dzhankoy, Guards, Belogorsk and other cities of the occupied peninsula. 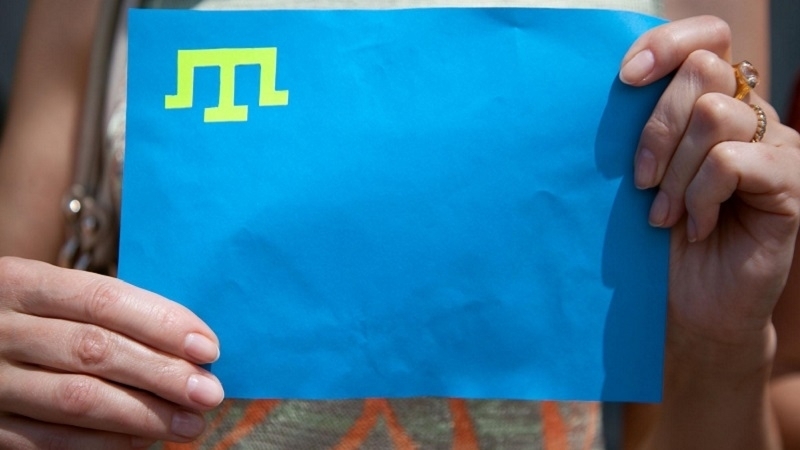 Activists held posters with the inscriptions "Crimean Tatars are not terrorists", "Stop lawlessness of law enforcement officers in the Crimea", "Freedom to political prisoners"